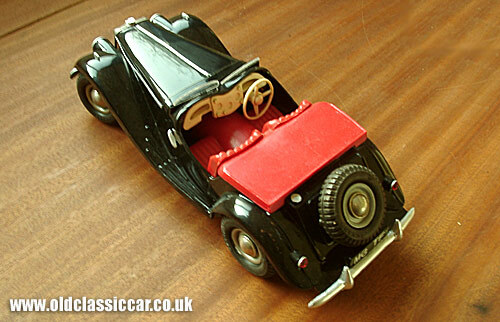 Background info on these British toys. 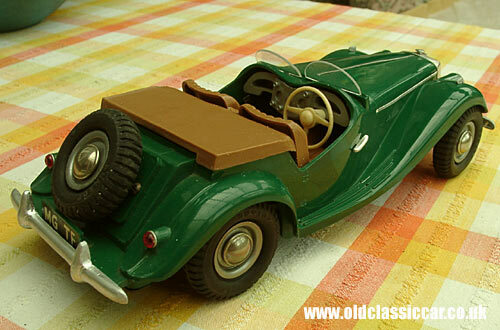 Shown above are four more toys from Alan's collection, this time modelled on the 1950s 2 seater from the famous MG factory at Abingdon. 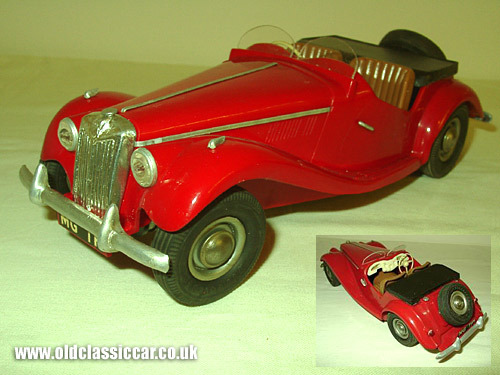 "Another Victory Industries car, this is the MG TF which came out in 1954. They are quite common on Ebay due I think to their robustness, but are normally missing some parts - I have several, in various colours. 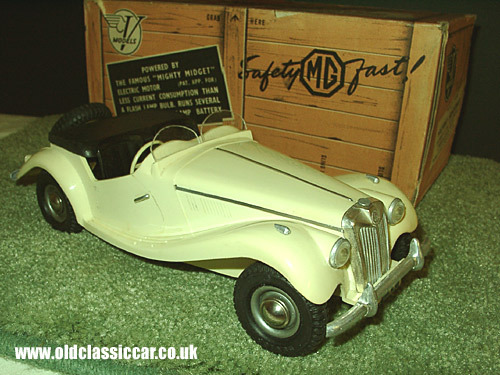 Shown is the Tartan Red one, and a second example finished in Ivory, they are powered by batteries under the seats and the motor is operated through the spare wheel. Finally, a green TF, I thought this was the best colour of all." 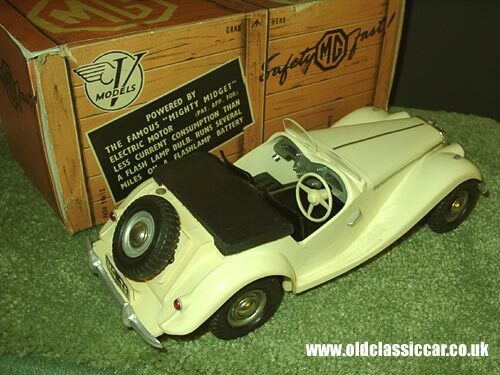 The TF 2 seater was the final gasp for the pre-war inspired MGs, before the completely new MGA came on stream later in the 50s. Early cars were powered by the 1250cc XPAG engine, and those built from 1954 onwards came with the larger 1500cc engine.